Bell bottoms, transcendental meditation, love beads, civil rights, protest marches: the 1960s, the Age of Aquarius, a time of radical social change that ushered in the "New Age." 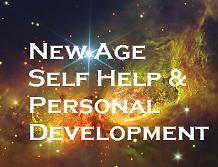 Time passed, and gradually, New Age ideas made their way into the cultural mainstream. Among them is "spirituality," the notion that beyond organized religion, people can directly experience a Metaphysical, reality that is greater than oneself. The once "flakey" notion of personal growth, the idea that people have the ability to improve themselves, is now big business. Also, we have come to accept that if we want to know what is really going on, we must view ourselves, our society, the planet and the universe, as a whole, rather than simply examining their individual parts. You may be familiar with a children's puzzle that has been around for a long time. The pieces consist of the individual states that make up the United States. When the child puts each piece in its proper place, a picture of the whole country emerges. From its New Age roots, a new, holistic psychology has emerged, which examines the individual parts of our human nature, and then puts them together into one, comprehensive whole. The result is new insights into our human nature and our ability to transform ourselves, the societies within which we live and the planet. The "puzzle pieces" that make up Quantum Psychology come from Eastern philosophy and Western science. The East contributes the knowledge and practices associated with yoga, meditation. Western science contributes the insights into the natural world that come from quantum mechanics, complexity theory, systems theory and psychology. Fit all the pieces together and what emerges is a psychological map that explains personal growth and techniques that allow us to be our own counselors, therapists and gurus. One of the fundamental insights of quantum psychology is that our bodies are a lot smarter than we have previously imagined and our expectations of what is possible are way too low. Encoded in our DNA, and hard-wired into our brains, is a brilliant learning program that knows how to produce personal growth at the level of transformation - with a little help from us. This program gives us a simple way to heal our psychological wounds, free ourselves from the past, improve our everyday lives and evolve to higher levels of consciousness, including achieving spiritual enlightenment. What has long been known in the East as the Tao, with the addition of Western science, has become the Quantum Path of personal growth. Following the Quantum Path involves the practice of two techniques that are simple, but not always easy. 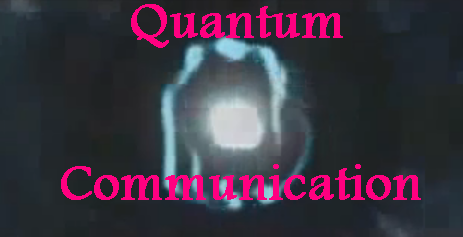 Quantum Technique 1 frees us from the past, not by talking about our problems, but by communicating with our unconscious mind in the language it understands - pictures. When we do, the brain responds immediately. Quantum Technique 2 gives us the open mind we need to accommodate an expanding consciousness by freeing us from the preconceived ideas we acquired from our cultural indoctrination, which is really a form of brain washing. If you should choose to follow the Quantum Path, after you got over your initial surprise that rapid personal growth is possible, you would soon come to accept the changes that emerge as normal, which of course they are. Quantum psychology views such abilities as being courageous, thinking for yourself, having individual power and enjoying life, as being characteristics of a normal, mature, adult consciusness. Equally normal is that you would transcend the illusion of separation that characterizes everyday life and experience your connection to all things, such as the tree in your back yard, the squirrel dashing across the road in front of your car and the person who stands in front of you. When your awareness expands to include the whole, holistic, holy realm that exists just underneath the surface of our ordinary lives, you would discover how you are a piece of the biggest puzzle of all - the universe. Article by G Kumar, astrologer, writer and programmer of http://www.astrologiavedica.com/. Recently he was awarded a Certificate by the Jean Boyd is the author of THE GREATEST ESCAPE: Follow the Quantum Path to Personal Freedom. For more information contact: www.quantumboyd.com.